It wouldn't be an understatement to say the the Resident Evil franchise has not really shone since its fourth installement. The 2 Revelations games were nice, Resident Evil 5 was a bit fun to play co-op, but really, the series does not provoke that much hype and anticipation anymore. When Resident Evil 7 biohazard was announced, a lot of people complained about the choice of the first person view to sort of start anew. Some even claimed it was just a mere copy of P.T, which was never a game in the first place - and never will be. Apparently, Kojima invented the first person horror genre and we were never told. Anyway, time to finally see if the game deserved the criticisms it's had to endure, so follow us inside to discover our final verdict. As usual, the full review is available only in French. Against all odds, Resident Evil 7 biohazard has made us want to believe in the franchise again, which was not a given after the poorly-executed (though generous) Resident Evil 6. The series had lost itself over the years and it's back, with the very same DNA we loved in the original game back in 1996. It might look like a reboot at first glance, but it's not, as it is still very well rooted in the series' mythology. The main story is more intimist than before, less over the top too, but that what makes it appealing and engaging in our opinion. Ethan Winters' quest to find his wife Mia and the key to understanding what is going on turned out to be much more interesting than we thought it'd be - though the ending is probably not what we were hoping for. This new episode is undeniably stressful, scary too at times, especially of your stomach can take VR, and it plays well, which is a nice change. 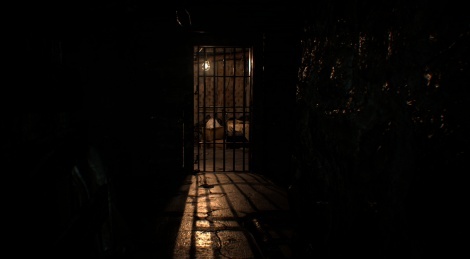 Come to think of it, the first person view was probably what the franchise needed to rise from its ashes, but don't be fooled, it does not make it a mere copy of Outlast, Condemned or even Call of Cthulhu: Dark Corner of the Earth. We are now truly eager to see what the future of RE will be like, something we would not have bet on a few weeks ago. + Looking forward to the sequel (and the DLC) ! The lack of monster variety is disappointing but the game sounds awesome. Its getting really good reviews. Depends I guess. Sometimes, if you don't play by the rules, you can realize that it's just as flawed as in the other games. The thing is, the monsters don't have to be intelligent, they only have to spot you and come towards you looking threatening. When you have enough space though, you can outrun them as they're all pretty slow. I personally haven't been bothered by the AI. Ok, thanks. I was mainly asking because the baker family members are "human"
To give you an example, the sequence shown in the "Dinner is Over" video did not play exactly the same as when I first tried it. Jack spotted me while he hadn't the first time, and I was hiding in the same spot (maybe a bit further to the left though). The first time, I played the whole sequence without being seen, so he never broke through the wall. There is always a bit of uncertainty, but contrary to some other games, I think you're more likely to escape because they're not fast enough (as they are not meant to be). It's still stressful, but I'm sure it would be even more of they could one-shot you m(aybe on the hardest difficulty setting? Haven't had time to try it after unlocking it at the end). I don't know if they can one shot you but I read on neogaf that the madhouse difficulty affects AI. It makes them faster and more lethal. And yeah, to figure out if a game truly has good AI you have to play it a lot and try to break it in many ways and if it responds properly then its good. Then let's just say that the very beginning is maybe too easy, probably because they didn't want players to be too frustrated. Wow! I just checked out a ps4 vs ps4 pro comparison and the pro version looks so much better. I hope it runs well too. So you are telling me that now terrible looking games get a pass on the graphics department because it's a throwback to 32 bit days? Are you kidding me now? Damn, what have we become if not complacent as heck. Since when do games need to be good looking to be good? Have you ever played a good Crytek title? RE7 is not terrible looking by any means, it can even look great. It's just hit and miss when it comes to graphics, but you know what, I'll take a million of such titles over anything that looks and plays like a Crytek game. Have you ever played a good Crytek title? It looked like a joke to me about how bad some of the texture work is in the game. So I guess he was kidding with you. Baffles me how some complain about how this game looks. It's borderline photo-realistic in places and it runs like silk, especially considering its also VR, and it doesn't even take much of a hit there, certainly nowhere near as bad as what some reviewers will have you believe. A few dodgy textures? Game breaker. Just for context, if you look at REmake, even the recent remastered one, at the time it was using state of the art pre-rendered CG backdrops and it looked amazing. 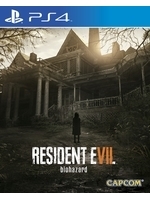 RE7 actually looks better than that. A testimony to how far real time visuals have come. The game looks amazing in my opinion. Shame about the loading times, I hate them. Are they really that bad? do they happen too often? I hope not. Have you played on a standard PS4? If so, what are your impressions of the two? I know the Pro 'cleans' up the image by looking at the video, but inside the headset is where you have to see the difference for yourself. The first one is long (90 seconds), then it's usually when you want to load a video tape, or after you've completed it, before you can control Ethan again.